When Sanjay and I started the company in 2002 we were a different business. Our services revolved around process optimization or process improvement. What does that mean and how does it relate to people and improving themselves? 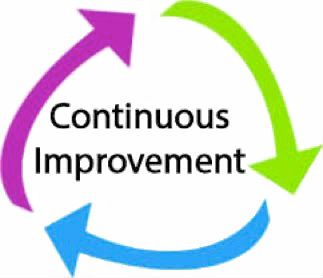 Wikipedia defines it as “an ongoing effort to improve products, services, or processes.” Process improvement is not one and done—it is an ongoing effort. So how do you do become your best self? You improve all four areas constantly. Sometimes slowly, sometimes quickly. We all know that we need to exercise and be careful about nutrition. The stress of life gets to everyone. Exercising and eating right are so important. I need to do that. This is a very personal area. It can mean many different things. To me it means what fuels my soul. What fuels my soul is helping others. I do that as often as I can. Building a relationship takes time and hard work. There are plenty of ways to do this. Spend time with other people, listen to them, see how you can help them. What are you going to do to “Sharpen Your Saw”?